Vauxhall Key Replacement Specialists in Bristol & Bath (& Surroundings) – We Come Out To You! 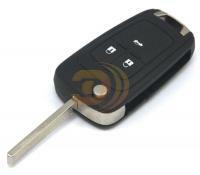 Lock City are Auto Locksmith specialists and can help you with your Vauxhall Key requirements. This page will answer some of the questions you may have and also address some common problems with Vauxhall keys, please however call if you would like friendly advice! Just one example of the Vauxhall keys we keep in stock! Q) My Vauxhall key has broken off in the lock/ignition, can you help? Yes, we offer a fast broken key extraction service, and we can provide you with a new key so you can get on with your day! Q) Are you able to programme Vauxhall car keys? Yes! We offer a mobile key programming or re-programming service using the latest in key coding technology. Q) I do not have the Vauxhall Car Pass, what should I do? In order for us to programme the key, will need the Vauxhall Car Pass which contains the vehicle’s important data to include the ‘key number’ and ‘ immobiliser code’. This normally comes with the car on a credit card sized document, however if you do not have this, we can purchase these for you at a cost of £30 plus VAT. Remotes Stop Working – On the Vauxhall Vectra, Zaifira and Astra there is a common problem with the battery housing, where the housing breaks from the circuit board. There is a quick fix (padding out the inside of the remote or by soldering the joints) but these short term fixes will not last very long. Our mobile workshop can supply new remotes and programme it to your vehicle. Broken Key – It is common for pre 2004 keys to easily break, unfortunately this sometimes happens in the lock or ignition. If this happens to you, we can retrieve the broken bits and supply and programme a new key. The Vehicle Won’t Start and the Immobiliser Light is Flashing – this again is a common problem. There could be a number of reasons why this is happening (1) The microchip maybe lost, which is very common on vehicles pre 2005 (2) The chip is broken, which is common on a Vectra or Signum after 2002 (3) The vehicle may have an electrical fault. Our specialist equipment can diagnose the fault and we can recommend the best solution for you!